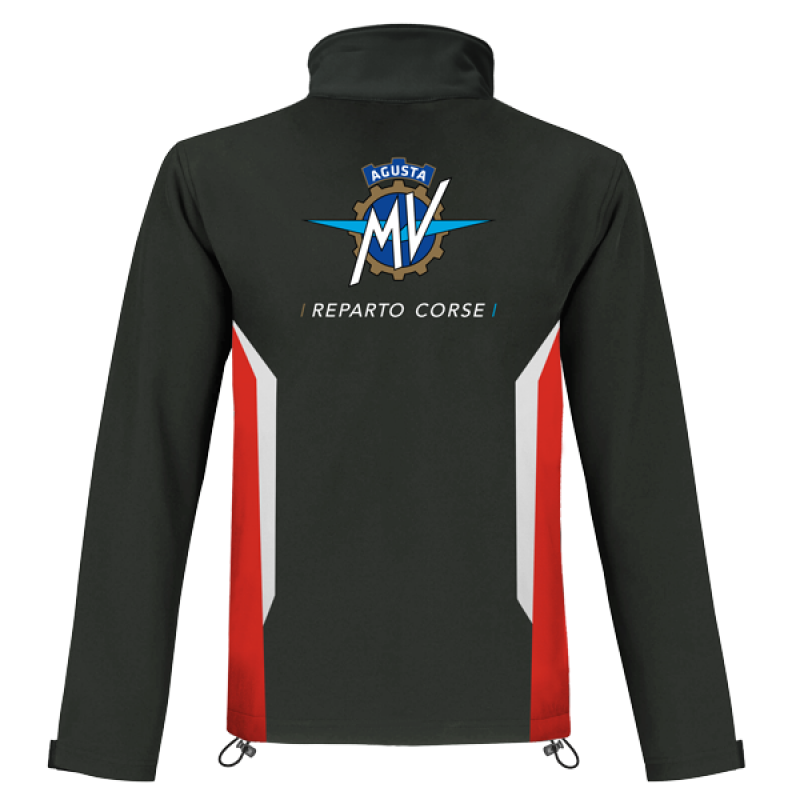 and support the David vs. Goliath effort of the MV Agusta Reparto Corse WSBK and WSS Race Teams with official Team Wear! 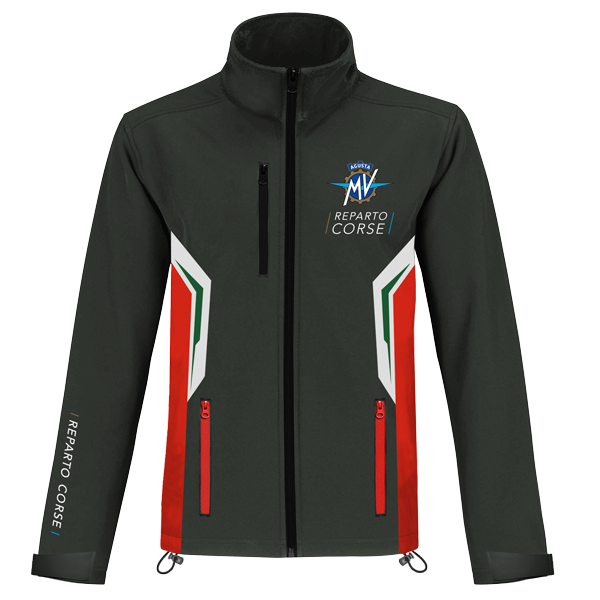 This full zip soft shell jacket features a sporty cut with side and chest pockets, reversed zippers, and top quality construction from the worlds finest materials to provide you with a level of style, warmth, and comfort like only the Italians can. 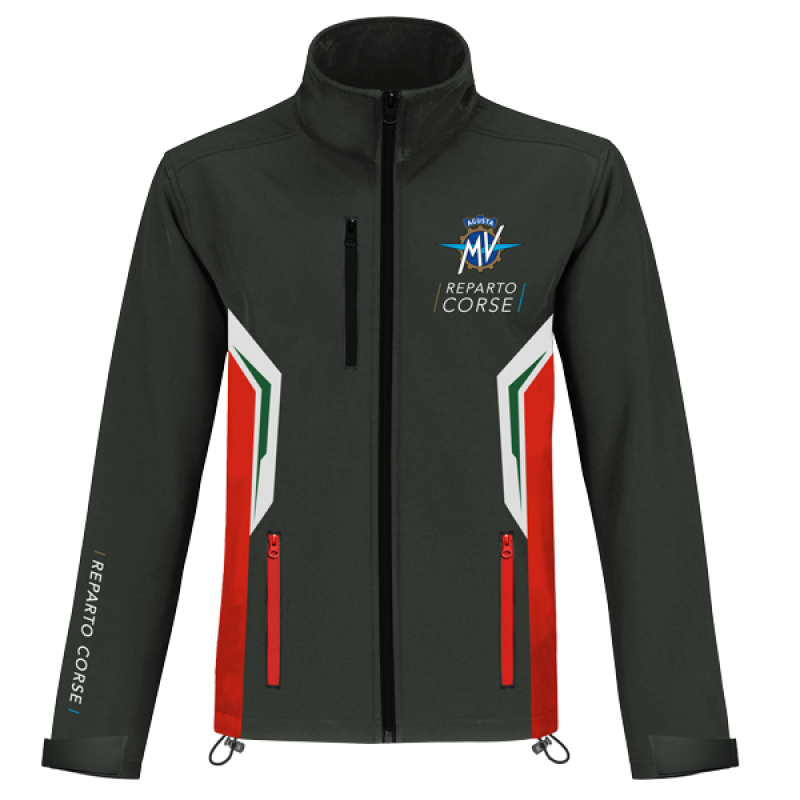 Produced by Audes of Italy, who manufacturers top quality team wear without overlooking a single detail. 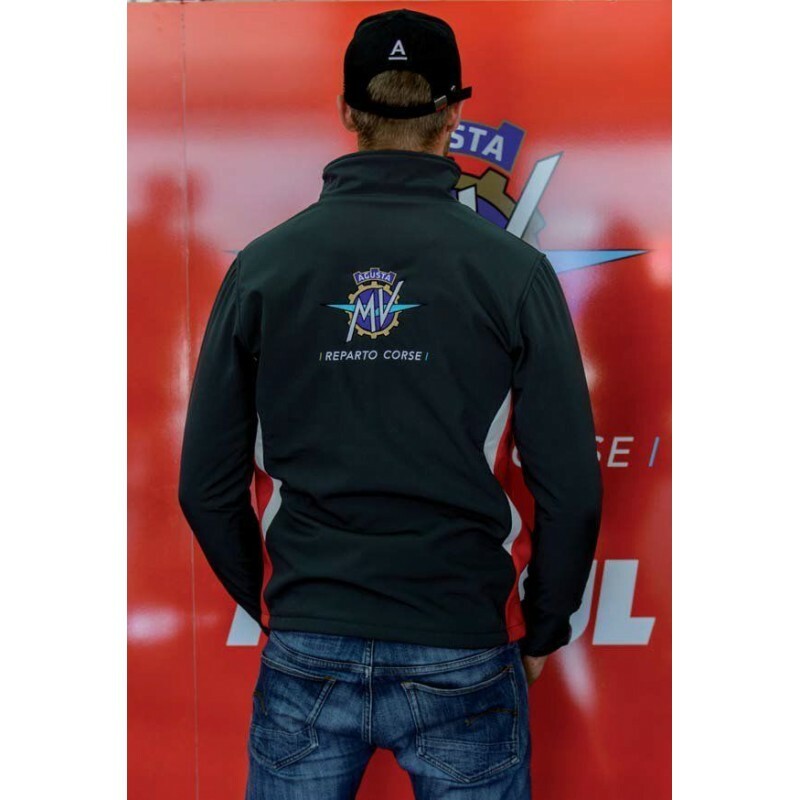 The top teams in the world use Audes, including: Aprilia, Ducati, Kawasaki, Lamborghini, Maserati, Marc VDS, and more! This is the Ferrari (actually more like the Lamborghini) of Jackets!